You may be a skilled hairstylist and may have the ability to make anyone look gorgeous. But to possess such incredible skills and not let the world know about them is a crime. Secure yourself a place in the best hair salon around and let your career shine. If you think you have got the required skills and talent, there is no reason why you can’t make it to your dream salon. All you need is a resume template which will help you in grabbing your dream job. 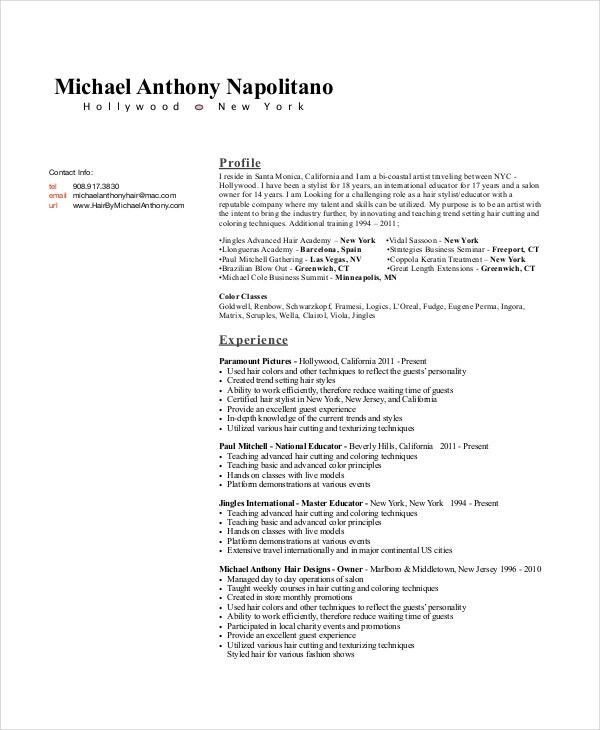 The below-mentioned resume examples will assist you in preparing yours. 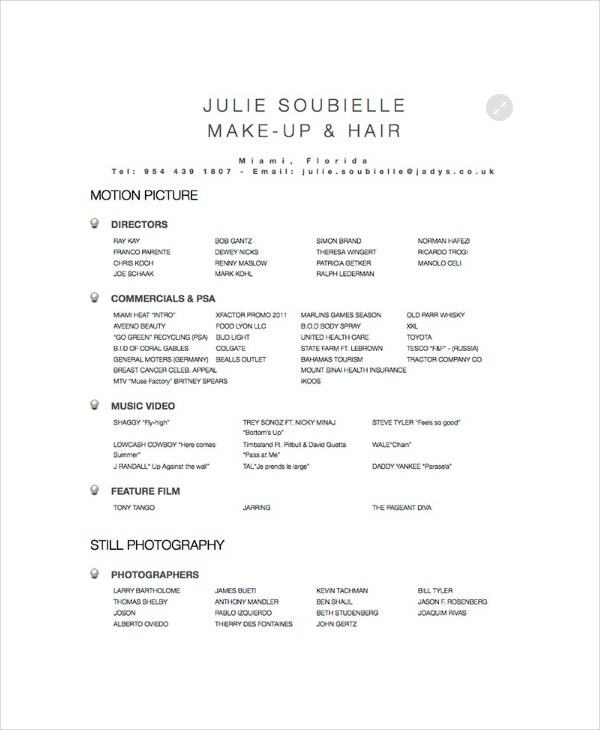 If you are planning to work as a hair stylist, this is the ideal resume template for you. It contains an impressive introduction and describes the role of a hair stylist in the most appropriate manner. Use this template to create yours. If your forte is makeup and hair styling and you are looking to obtain a job position wherein you can utilize your skills, knowledge, and experience, you will need an impressive resume to present your skills and qualities before the recruiter. The above resume template will help you with that. > Why These Hair Stylists Resume Template Are Must-haves? As we all know hair styling is a glamorous job. And the best part about this job is that it helps one to meet and interact with different kinds of people, which makes it an absolute favorite among the youngsters. Many youngsters even go to faraway places for a degree or diploma required to pursue a career in this field. And with certificates in their arsenal, they set out on their journey to pursue their dream jobs. But the harsh reality is, the recruiter don’t easily get impressed. And you need to impress them with a close-to-perfect resume. You will be glad to know that these hair stylist resume templates can help you a great deal in achieving this objective. 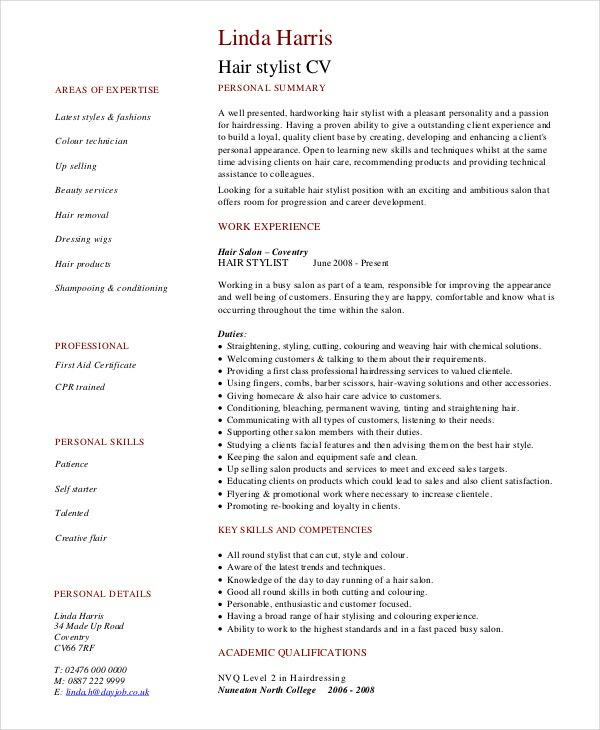 If you are looking for a resume template that will present your skills and talent as a hair stylist in a professional manner, you should use this Professional Hair Stylist Resume template. Make the necessary customization and you will be ready to go places. You can also check the Impressive Hair Style Resume template. This Experienced Hair Stylist Resume template is designed to assist those who have a broad experience in hairdressing and are competent. Use this template to impress the recruiters with your incredible talent and skills so that you can get the job that you deserve. If your forte is cosmetology, it will be valuable for you to know that there is a stiff competition in the industry. And that is why you must be equipped with all the necessary tools including a good resume. 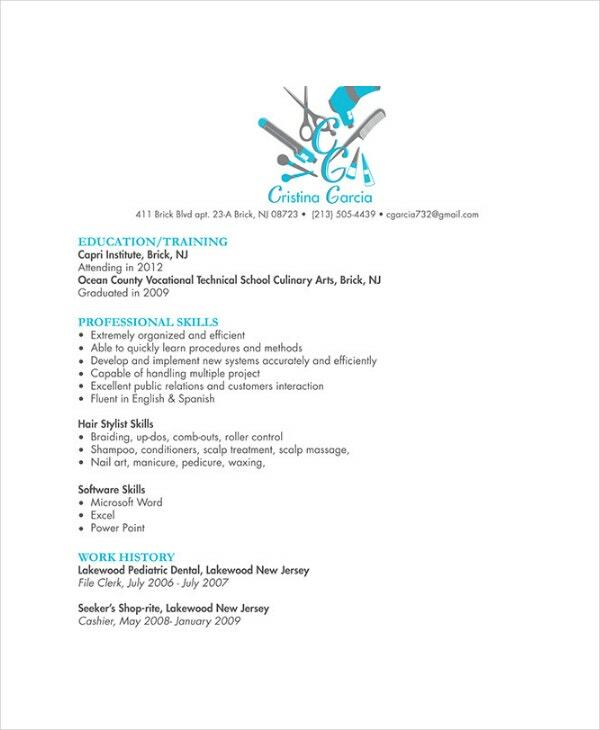 If you are not good at creating a resume on your own, you can take help of this Cosmetology Hair Stylist Resume. 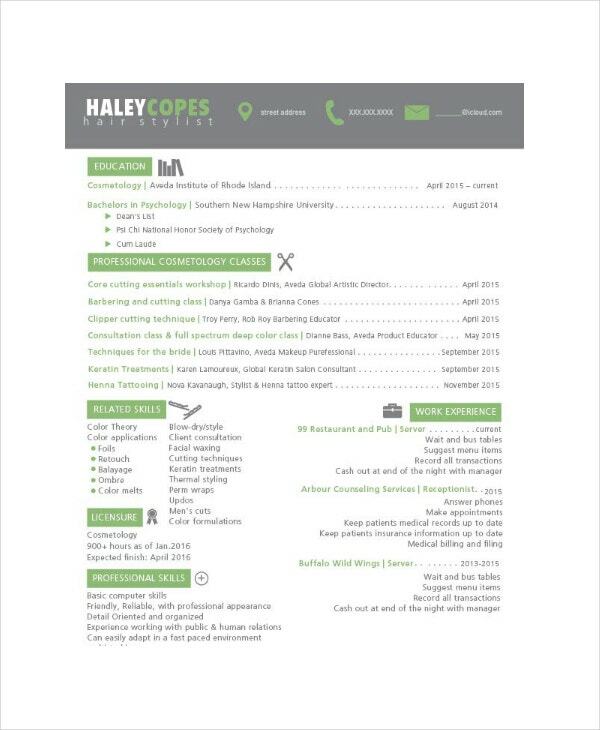 You can check the Cosmetology Resume templates. > How Can A Hair Stylist Resume Help You? 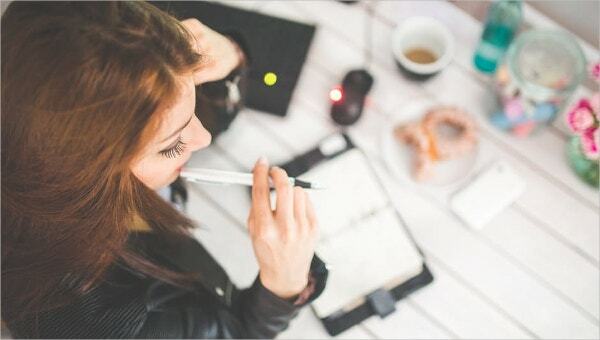 These hair stylist templates will not only guide you in crafting a compelling hair stylist resume but also they will make you aware of the crucial areas you need to stress adequately while presenting your information. These templates will enable you to know which order you should follow while listing your information depending upon the type of resume you opt for. These templates will help you with the much-needed guidelines. You can make necessary changes and use these print-ready templates or you can use them as a reference and create your resume which will also show your creativity aspect to the recruiter. 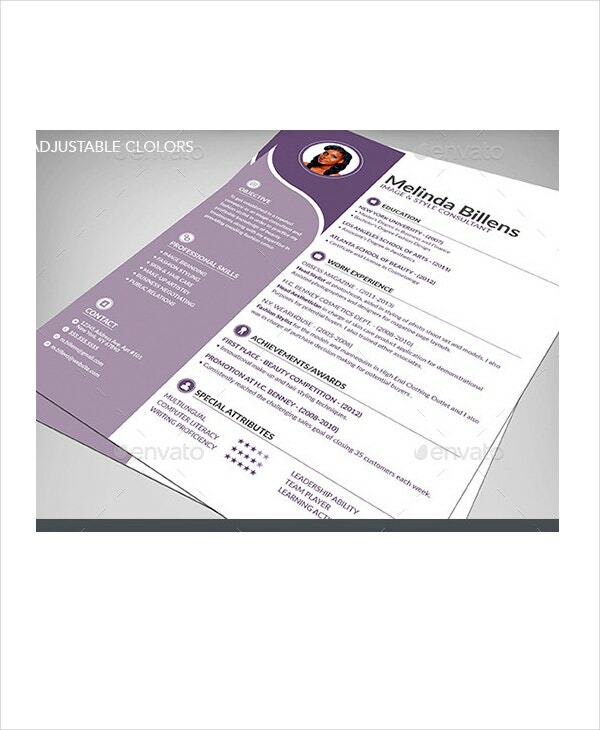 You can also see Fashion Designer Resume Templates. We understand how important the interview is for you. Therefore, we provide you with well-constructed templates which will offer a better chance of getting hired. The effectiveness of these templates is to help you stand a higher chance of getting your dream job and staying ahead of your competitors.